(Music Minus One). 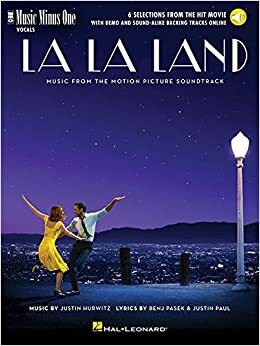 6 selections from the Academy Award-winning movie musical are presented in this book which includes the lyrics, vocal line and piano accompaniments for each song, plus online audio tracks featuring authentic-sounding re-creations of the original orchestrations from the soundtrack. Inccludes full demos for listening plus backing tracks so you can sing the lead. Songs include: Another Day of Sun * Audition (The Fools Who Dream) * City of Stars * A Lovely Night * Someone in the Crowd * Start a Fire. The audio is accessed online using the unique code inside each book and can be streamed or downloaded. The audio files include PLAYBACK+, a multi-functional audio player that allows you to slow down audio without changing pitch, set loop points, change keys, and pan left or right.